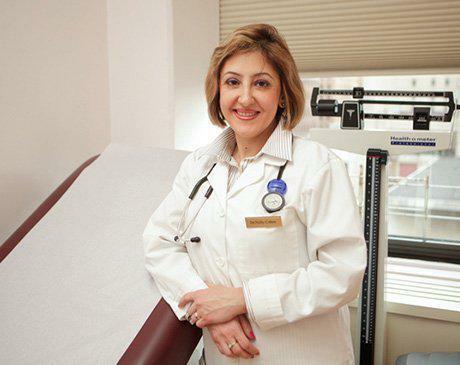 Nelly Cohen, MD, is a talented primary care physician at C+Y Medical PC in Brooklyn, New York. After completing her medical degree at Andijan State Medical Institute in Uzbekistan, Dr. Cohen moved to New York to complete her residency at North Shore University Hospital. Dr. Cohen specializes in the treatment of heart, lung, and gastrointestinal diseases, as well as hypertension and diabetes. She also has extensive experience treating infectious diseases and other chronic conditions. In addition to being an experienced internist, Dr. Cohen is fluent in English and Russian, ensuring health care services are accessible to a wide range of patients. She’s also an attending physician at Beth Israel Hospital-Kings Highway Division and New York Downtown Hospital. When Dr. Cohen isn’t caring for her patients, she enjoys attending cultural events, the arts, and performing community service. Dr. Cohen is certified by the American Board of Internal Medicine. She is currently accepting new patients. To avoid delays in treatment, please confirm insurance coverage prior to appointments. At our office, we accept some major insurance plans. Please view a short list of the popular plans we accept. Please contact our office for more information.